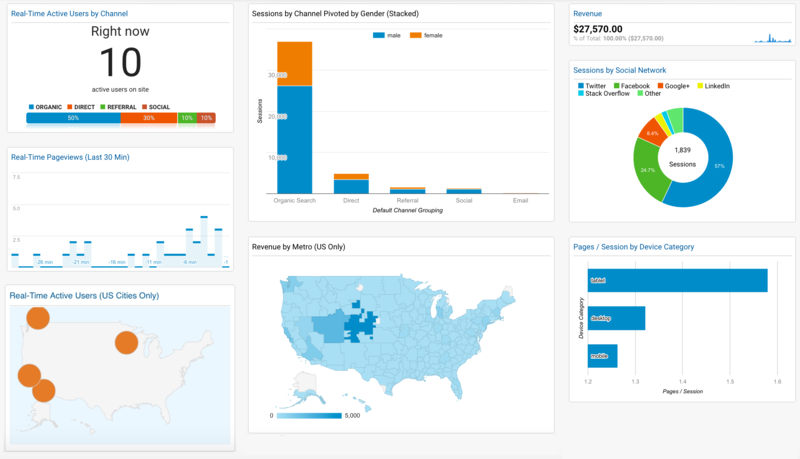 One of our key features is beacon campaign analytics that allow you to see how well your campaigns are doing. 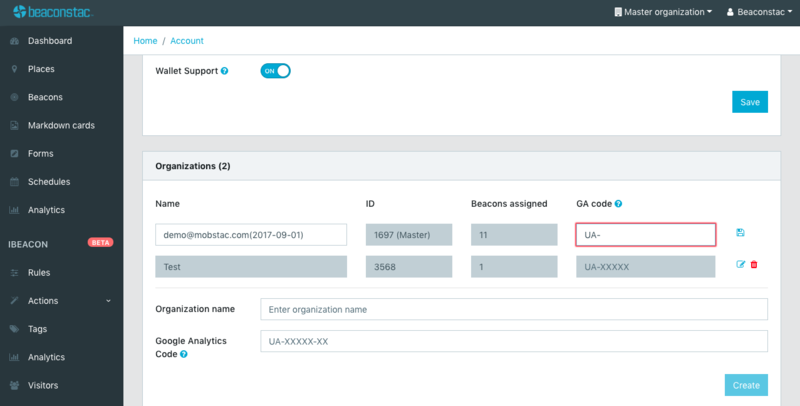 All your analytics - from your website and app and beacon campaigns are in one place post integration. However, remember that Google Analytics will only show how many people clicked on your markdown card and not how many people got the notification. 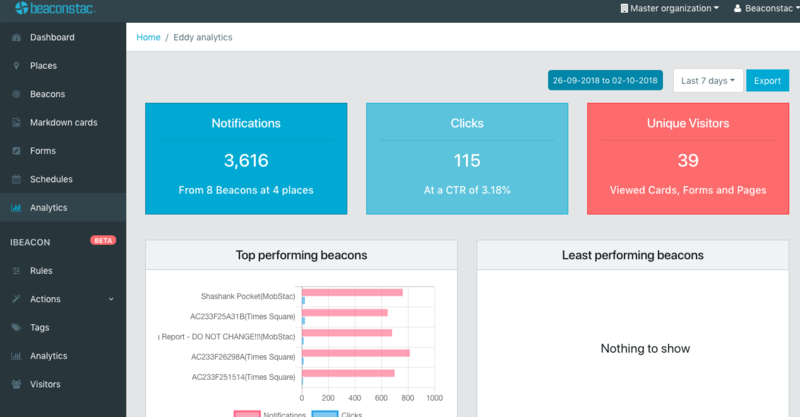 To know the reach of your campaign, refer to the Beaconstac's Analytics tab which captures the reach as 'Notifications'. If you do not already have a Google Analytics account, create one. You will need to have a Google account for this. If you already have a Google Analytics account, sign in to your account. 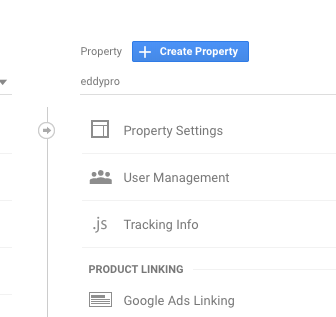 Step 2: Set up a property in your Analytics account. Your website or app is represented by a property and is the collection point for all the data. b. Click on Account and use the menu to select the account to which you want to add the property. c. In the Property column, create a new property from the menu. e. For the Website URL, change the http:// to https:// and type eddy.pro/ (Refer to the screenshot). 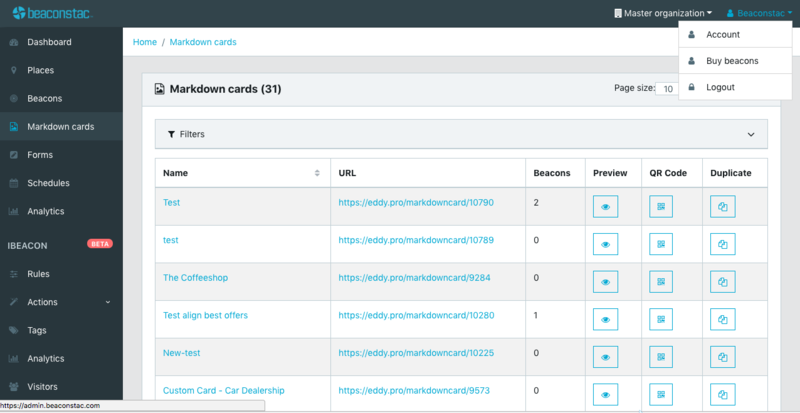 This will enable you to track all your markdown cards. If you want to track a single markdown card, enter the complete URL.